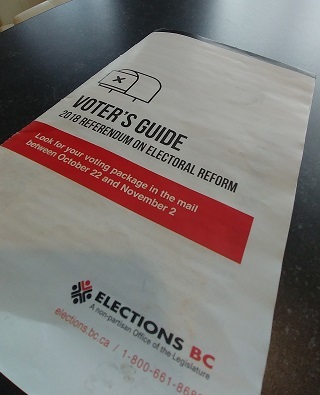 An advocate for changing BC’s electoral system says she’s surprised and dismayed at the outcome of the referendum on switching to a method of proportional representation. Ann Remnant says she didn’t expect 61 per cent of voters would choose to stick with first-past-the-post. “I was quite shocked at the results because the pollsters led us to believe it was really close, so we were working really hard to scrape up every vote we could,” she says. Remnant says other jurisdictions like Quebec and Prince Edward Island will now have to take the lead on electoral reform. She doesn’t expect it to be on the table again in BC for a decade or longer. The one bright spot, she says, was that the referendum passed in both Nelson-Creston, where 57 per cent endorsed switching systems, and Kootenay West, where 51 per cent of voters said yes. In Boundary Similkameen, only 31 per cent of voters were in favour of proportional representation, and in Kootenay East, only 28 per cent were.